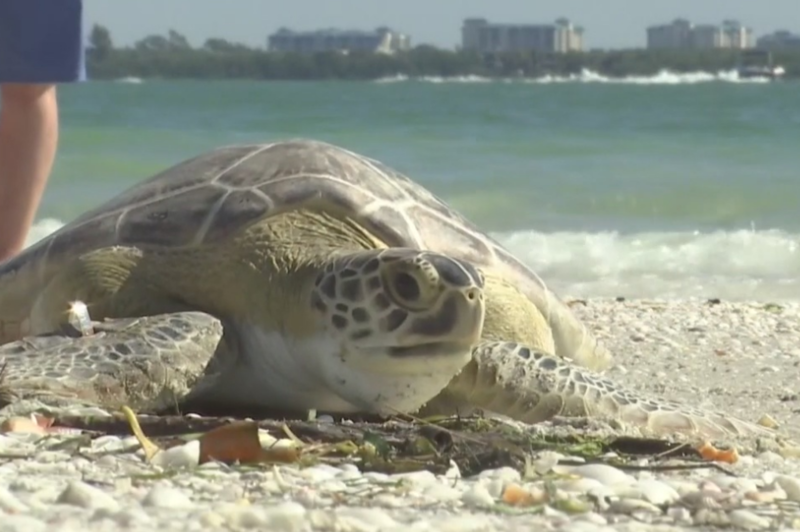 An alternative procedure used to treat tumors on sea turtles has been performed at the Florida Keys-based Turtle Hospital in partnership with the University of Florida. 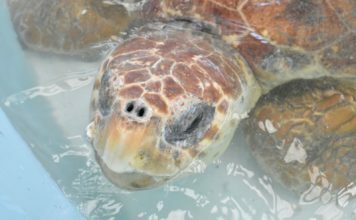 The electro-chemotherapy treatments were administered to two green sea turtles Saturday. The remedies are part of a study being conducted on green sea turtles with fibropapilloma, cauliflower-like tumor growths that develop as a result of a herpes-like virus affecting many sea turtles around the world. Traditionally, the tumors have been surgically removed, but the surgery is more complicated and stressful for infected turtles. Dr. Anna Szivek, assistant professor of oncology at the veterinary college of University of Florida, said the treatments involves short, low-level electric pulses that allow the cells to open and better absorb the chemo medication, commonly used in cancer treatment.